Sometimes getting lost is half the fun while hiking. A veces, perderse es lo divertido cuando haces senderismo. Granted, during the experience, you’re frustrated, and if you’re me, dropping obscenities in both Spanish and English and debating Tweeting #PR101 necesita mejor señalización (needs better marking). But at the end of the day, getting lost was worth it, as I found my way in the end. Vale, durante la experencia, estás frustrado/a, y si eres como yo, maldiciendote/todo en castellano e inglés y pensando si deberías hacer un tuit #PR101 necesita mejor señalización. Pero al final del día, perderme valió la pena. My first visit to Alonsotegi was cut short last January, so one of the benefits of another year in Bilbao and in plan ahorro (save money) meant I had an excuse to go back and walk the full trail of the Peñas Blancas (white rocks). Mi primera visita a Alonsotegi era cortado en enero, y un beneficio al otro año más en Bilbao y en plan ahorro es tener una excusa para volver y hacer toda la ruta de las Peñas Blancas. I had a pintxo de tortilla and café con leche at the same bar I did in January, and I am cursing myself for not writing down the name to recommend it. Great pintxos and great service combined, plus free wi-fi. I then took off and found my way. The trail goes in the opposite way I went in January. Me tomé un pintxo de tortilla y relaxing café con leche en el mismo bar de enero, y espero haber escrito el nombre del bar para darlo algo de promoción. Pintxos ricos y buen servicio combinados ¡y con tiene wi-fi! The trail lead me through some pretty views, the type the Basque Country almost always offers during their estimated three hours of sun per century. The signs then began to get confusing, as the trail decided to go through some private property that was fenced off. The fence had been torn down, but the signs gave no clue what direction the trail went or anything. I waited a few minutes and a woman walked by who yelled at me for waiting. I then asked her about how to get to Santa Ageda, an érmita (hermitage) along the way. She just pointed and yelled some more. I let her get very far away from me before continuing on. La ruta me llevó por algunas vistas preciosas, el tipo que casí siempre oferece el País vasco duranto sus estimadas tres horas del sol cada siglo. Los señales me confundieron, como el sendero pasó por propiedad privada. La valla estaba rota, pero los avisos no dieron ninguna pista de cual dirección ir o nada. Me esperé unos minutos y una mujer me pasó y me echó la bronca para estar esperando. Le pregunté donde ir para llegar a Santa Ageda, una érmita. Me señaló y me chilló aún más. Le dejé ir lejos antes de seguir el camino. I did not see any yellow and white paint marking the PR route, and this worried me. On the Camino, whenever I really need one, an arrow magically appears. I found myself going up a very steep mountain. It may not have been the right way, but after finding myself in some dense forest (with cows) after apparently missing an arrow, I thought the steep mountain would lead me back to the trail. No vi ninguna aviso de pintura de amarilliblanco para señalizar la ruta PR 101, y me preocupé. En el Camino, cuando me hace falta, una flecha amarilla aparece. Me encontré subiendo un pendiente fuerte. No era el camino adecuado, pero después de encontrarme en un bosque denso (con vacas) después de perder un señal, pensé que el monte me mostaría el sendero correcto. More of these would be nice, eh? It eventually did. As I had seen Santa Ageda on the Camino, I wasn’t too upset. I reached the summit of Arroletza and took in the spectacular views before continuing on to Sasiburu (which I want to mean Mount Sassy Head but apparently means “pseudo” according to Google Translate.) I could see Lisa Kudrow climbing Mount Sassy. I digress. The two mounts are about 460 metres (1380 feet). Y por fin, lo hizo. Como ya había visto Santa Ageda en el Camino, no estaba muy desgustado. Alcancé la cima de Arroletza y admiré las vistas espectaculares antes de seguir hasta Sasiburu. Los dos montes son unos 460 metros. I then decided to stop at the cross as it was two minutes up a nearby hill, and on to the Peñas Blancas (450ish metres or around 1350 feet). Tome la decisión para ver la cruz, como era dos minutos en una colmina cerca, y después hasta las Peñas Blancas. 450 metros. It looked like it would be an hour back to Alonsotegi, but I got lost. Again. I was on the lookout for the signs, but I just didn’t see them. There had to be some small turnoff for the trail. I eventually found my way following the unmarked trail, but I missed seeing a neighbourhood (Zamundi I believe). Me pareció que tardara una hora hasta Alonosotegi, pero me perdí otra vez. Otra vez, estaba mirando los señales, pero no los vi. Tenía que haber alguno turno pequeño. Eventualmente me encontré por un sendero sin señales, pero perdí ver un barrio (creo Zamundi se llama). Two Madrid icons close in a week. I was saddened to read about the closure of two Madrid icons over the course of a weekend. Last Saturday, the Mercado de Fuencarral closed its doors after 17 years. Located between Bohemian barrio Malasaña and gay barrio Chueca, this shopping centre had many unique shops full of trendy and crazy clothes and goods. I don’t believe I actually ever purchased anything here, but I would often go here to look around and wish I had money to buy things. I would often pick up fliers to the gay club that was in that week or just to sneak on their wifi when I was travelling through Madrid. It seems hard to believe that the next time I travel through Madrid, I won’t be able to stop here and look around. Then on Monday, Café Comercial said “adiós”. Located down the Fuencarral street a few blocks in the Glorieta de Bilbao (The Bilbaínos would say Madrid is so jealous of Bilbao that they had to name a Glorieta after the “capital of the world”.) , Madrid’s oldest café closed its doors after over 100 years of service. I only had two cafés con leche there, as it was super expensive, but the atmosphere and history of this place alone should have kept it open. Antonio Machado never wrote at a Starbucks. Después de tantos años de actividad del Café Comercial nos dirigimos a vosotros para comunicaros el cierre con fecha del día 27 de julio de 2015. Es una lástima tener que escribir un mensaje como este, pero ha llegado el día del cierre y, por ello, queremos agradecer de todo corazón la confianza que nos habéis brindado durante estos muchos años llenos de maravillosas experiencias. which means “After so many years of Café Comercial activity we regret to inform you of its closure July 27, 2015. It’s a shame to have to write a message like this one, but the day of closure has arrived, and for this reason, we would like to thank everyone from the bottom of our hearts for the trust that you have given us during so many years of wonderful experiences. The café opened in 1887, and the Mercado de Fuencarral in 1997. I think this afternoon I may frequent Café Iruña in Bilbao and thank heavens that Bilbao’s oldest café isn’t closing. I hope it, nor the Café Iruña in Pamplona where Hemingway wrote, aren’t faced with similar closures in the future. ¡Viva la historia! Gibraltar. Let’s rock and roll. My apologies for the pun. Even in Spain, I continue to read Pearls Before Swine. Blame Stephen Pastis. Gibraltar is a huge, giant rock at the southern tip of the Iberian Peninsula (The Greatest Peninsula in the World) that is a sore subject for most Spaniards and Spaniard wannabes like me. It technically belongs to the United Kingdom. Technically. During the War of Spanish Succession, an Anglo-Dutch force captured it from the Spanish, and the Treaty of Utrecht ceded Gibraltar to Britain in 1713. Three hundred years later, the Spanish are still not happy about it. In the summer, at the border crossing, there can be long lines. I was a bit miffed that I didn’t get a stamp in my passport when I went in 2009. Gibraltar is 6 square kilometres (2.3 square miles) and has nearly 30,000 inhabitants. My visit was another day trip from my trip to Málaga over the May Day long weekend in 2009. I was debating whether to take the too damn early bus or the early bus, and I took the early bus. I fell in love with the beautiful scenery in Málaga. On one side was the sea, and the other side were mountains. The bus stopped in La Línea de la Concepción, a border town in Cádiz, and I walked across the border (no long lines that Friday in early May) and the airport to Gibraltar. I don’t remember much about what I ate, but I do remember things being a bit more expensive. I also remember a cute waiter once I recrossed the border to catch the early evening bus back to Málaga and trying to understand “andaluz”. I vowed to go back to Gibraltar one day, but I’ve never made it back. The Rock of Gibraltar is famous. Duh. It was one of the Pillars of Hercules and was formed during the Jurassic period. (Possible Jurassic World 2 plot: The Spanish use dinosaurs to win back Gibraltar?) Being 426 metres high (1398 feet), the rock dominates the landscape. There is a Moorish castle there today, plus a maze of tunnels I wouldn’t want to risk getting lost in. 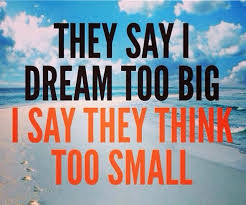 It is also the reason why we say something/someone is “like the Rock of Gibraltar”. 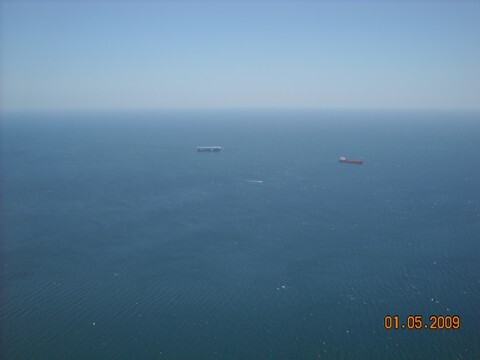 The Strait of Gibraltar separates the Atlantic Ocean from the Mediterranean Sea and peninsular Spain from Morocco (Ceuta is a Spanish city located on the African continent I have yet to visit. Yes, it is on my to-do list.) The strait’s narrowest point is 7.7 nautical miles, or 14.3 kilometres, or 8.9 miles and the depth ranges between 300 and 900 metres (980 and 2950 feet). The ferry across the strait takes 35 minutes. The airport, opened in 1939, is unique because the runway literally runs through a road and pedestrian crossing. It closes to cars and people whenever a plane takes off or lands, of course, but imagine having to walk across an airport runway every time you wanted to run across the border for Reese Pieces or a relaxing café con leche. A new road is currently under construction. Although the airport doesn’t receive much air traffic compared to Málaga’s airport, 415,000 passengers used it in 2014 alone. In 2012, it was voted one of the “‘World’s Scariest Airport Landings and Take-offs”, by readers of the Daily Telegraph. I unfortunately didn’t have time to visit the lighthouse, mosque, shrine to Our Lady of Europe, Nun’s Well and views of Africa from the Europa Point. The tunnel from the Eastern side of the Rock of Gibraltar was apparently closed when I was there in 2009. It’s the southern most point of Gibraltar, but not the Iberian Peninsula, which lies 25 km away at Tarifa. I also missed out on St. Michael’s Cave. The upper part has been used for 2000 years, but the lower part was only discovered in 1942. The lower cavern may have been sealed for 20,000 years and resembles a cathedral. It also has a lake that holds an estimated 45,000 gallons. Tours generally last around three hours, so plan accordingly. I did it. I officially followed a guide from the group of hiking sheets I received last year at the Deba Oficina de Turismo without getting majorly lost or leaving it at home, etc. And it was the one I’ve been wanting to do for a year but no clue how to arrive at the start off point. (By looking closer at the sheet, the answer was before my eyes all along. Possible metaphor for life? Lo hice. 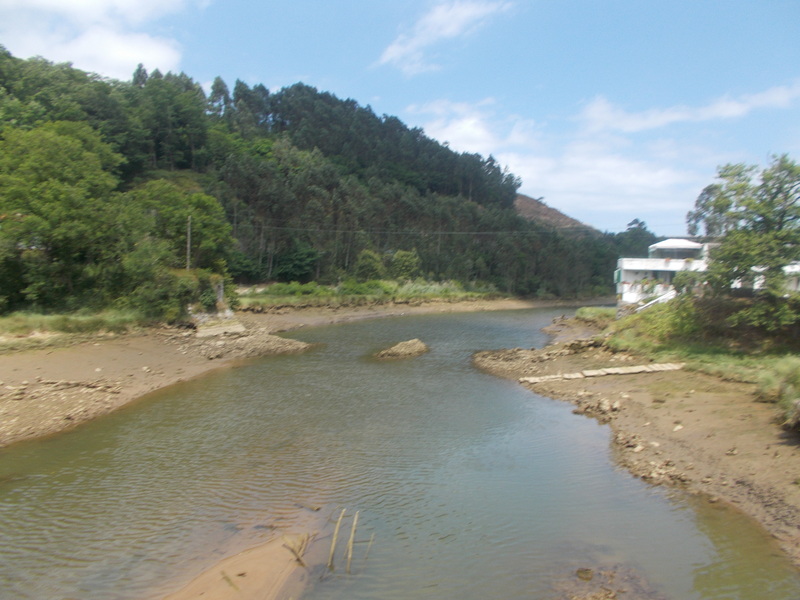 He seguido una ficha del grupo de fichas de senderismo que recibí el año pasado del Bulegoa Turismoa de Deba sin perderme o dejarla en casa, etc. Y era la ruta que llevo un año esperando hacer pero no tenía pista donde empezar. (Cuando miré má cerca en la ficha, la respuesta era justo delante mis ojos. ¿Igual sea una metáfora de la vida? On Sunday, I took off for my weekly Camino preparation to my fave place in Euskadi, Urdaibai. I need to write a whole entry dedicated to this incredibly beautiful place with small, enchanting villages, mountains and sea. But that’s something to look forward to. 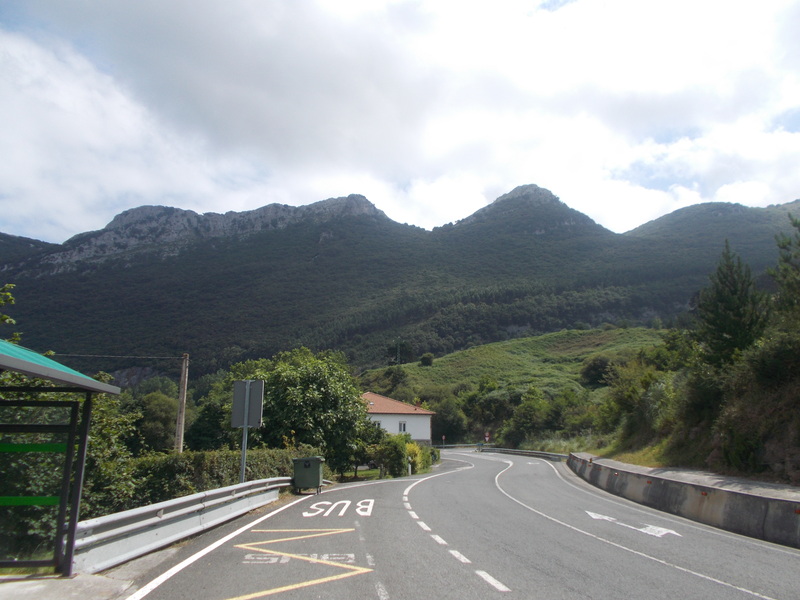 My plan was the GR 98.1 which climbs Mendi (Euskera/Basque for Mount) Katillotxu, 337 metres high (1,011 feet). El domingo pasado, he ido para mi preparación semanal del Camino a mi sitio preferido de Euskadi, Urdaibai. He de escribir una entrada entera en este sitio tan precioso con pueblos encantadores y donde el monte y mar cruzan. Pero esa será una entrada para anticipar. Mi plan era el GR 98.1 que sube Mendi (Euskera por monte) Katillotxu, 337 metros de altura. I took the Euskotren from Bouleta in Gran Bilbao, and an hour and five minutes later I got off at the third stop for Busturia (Itsasbegi) and walked a bit along the road that goes on to Mundaka. I saw the turnoff for Munitiz and took it, going by some caseriros (Basque farm houses). Cogí el Euskotren desde Bouleta en Gran Bilbao, y una hora y 5 minutos más tarde, me bajé en la tercera parada de Busturia, Itsasbegi, y caminé un poco por la carretera que sigue hasta Mundaka. The climb was a breeze after last week’s trip to Pagasarri. The heat (about 30ºC/80’s F) was the biggest problem, but I can’t complain as the rest of the peninsula wishes they had heat of 30ºC. I found myself at the top rather quickly, going the opposite way of the guide. La subida era chupada después de la semana anterior a Pagasarri. El calor, 30ºC, era el problema más grande, pero no me puedo quejar como el resto de la península quiere tener “calor” de 30ºC. Me encontré al cima rápidamente, siguiendo el guía al revés. I wanted to end in Mundaka, which is quite possibly my favourite Basque village due to its views of the Urdaibai region. So instead of going back the way I came to end up in Sukarrieta, I followed the trail that ended in Bermeo. It went off toward Mundaka, and I followed it, past some barking German Shepherds. Quería acabar en Mundaka, que puede ser mi pueblo preferido de Euskadi para sus vistas de la región de Urdaibai. Por eso, no quería volver a Sukarrieta y seguí el sendero que termina en Bermeo. Hay otro camino que va hacía Mundaka, y eso era el que seguí, pasando algunos pastores alemanes ladrando. Mundaka was nice, as always, with a lot of people on the beach as it was Sunday. I treated myself to a nice moscato wine and enjoyed the magnificent views. It was only about 10 kilometres, but I have to keep in shape for the Camino, which I hope happens. Mundaka estaba bien, como siempre, con mucha gente por la playa como era domingo. Me tomé un relaxing moscato y disfruté de las vistas increíbles. Solo eran uno 10 kilometros, pero tengo que estar en forma por el Camino, que espero poder hacer. Ya veremos. Pagasarri, Bilbao’s most famous mountain. Pagasarri, with its 673 metres, is Bilbao’s most famous and most important mountain. I’ve been a few times to this magnificent mount that dominates the skyline of the so-called Capital del mundo to explore its many trails and views. Pagasarri, con sus 673 metros, es el monte más famoso y importante de Bilbao. He estado unas veces a este monte precioso que domina el horizonte de la supuesta Capital del mundo para explorar sus varios senderos y vistas. The word “pagasarri” is Basque, meaning “dense (sarri) beech trees (paga). See, Euskera isn’t so difficult! Due to a high need for wood and the fires during the Carlist Wars, Pagasarri was left nearly treeless in the 19th century but there is a conscious continuous effort to return the natural beauty to the mountain. There are also old underground ice boxes where they would store ice from the winter to be used throughout the year when it was needed. La palabra “pagasarri” viene de euskera y significa “denso” (sarri) y haya (paga). Ya ves que el euskera no es tan difícil. Dado de una necesidad y uso alto de madera y los fuegos durante las guerras Carlistas, Pagasarri estaba casí sin arboles en el siglo XIX pero hay mucho esfuerzo para volver a la belleza natural del monte. También hay antiguos cajas donde guardaban hielo del invierno para usar durante el año cuando hacía falta. 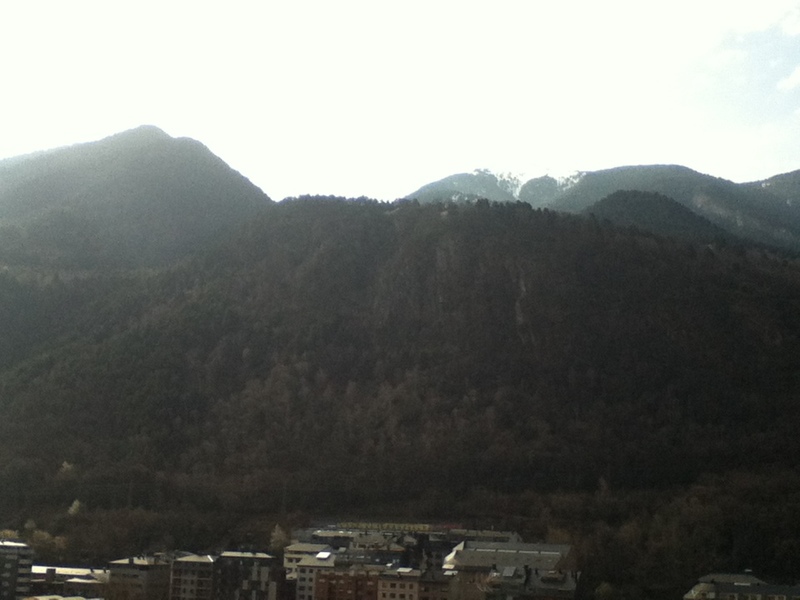 There are a few other peaks (like Arnotegi) on the massif, and I have quite a bit more to see. 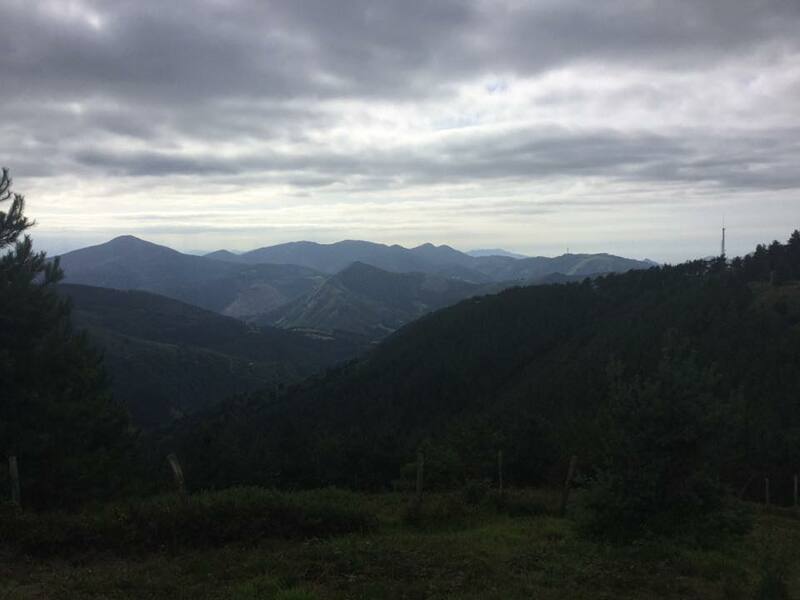 It was the third Basque mountain I successfully climbed in 2013, and I went back to find the trail to Buia once and to visit the San Roque ermita once. También hay otras cimas (como Arnotegi) en el macizo, y me quedan muchas para ver. El Pagasarri era el tercer monte vasco que subí en 2013, y volví para encontrar el sendero a Buia una vez y para visitar la ermita una vez. This time, I wanted to climb the mountain via the trail that leads from Recalde. I had conquered Arraiz twice before, so I walked on past that trail, determined to climb the lesser talked about trail. The trail that approaches Pagasarri from San Adrían is probably better known and was the one I used in October 2013. Esta vez, quise subir el monte por la ruta que empieza en Recalde. Había conquistado Arraiz dos veces antes, y por eso no seguí esta ruta porque quería subir el sendero menos hablado. El sendero que va a Pagasarri desde San Adrían probablemente es más conocido y era la ruta que hice en octubre de 2013. The trail is quite steep and runs through some beautiful forest. I kept going, feeling this was much harder than any day on the Camino de Santiago and far less kilometres! I took some pictures of the beautiful views when the trees broke a bit and avoided the cows. La ruta es muy inclinada y pasa por un bosque bonito. Seguí aunque me cansé mucho. ¡Me sentí que fuera más duro que cualquier día del Camino de Santiago y con muchos menos kilometros! At the top, I walked around. There weren’t many people, which sort of surprised me as Pagasarri is a popular Sunday activity for the people of Bilbao. I guess the clouds kept them away. Cuando llegué a la cima, pasé por todo. No había mucha gente, que me soprendí algo porque Pagasarri es una actividad popular dominguera por los bilbaínos. I decided to visit “Ganeta”, which is next to the Pagasarri summit and a little bit higher. There isn’t much but a communication tower. 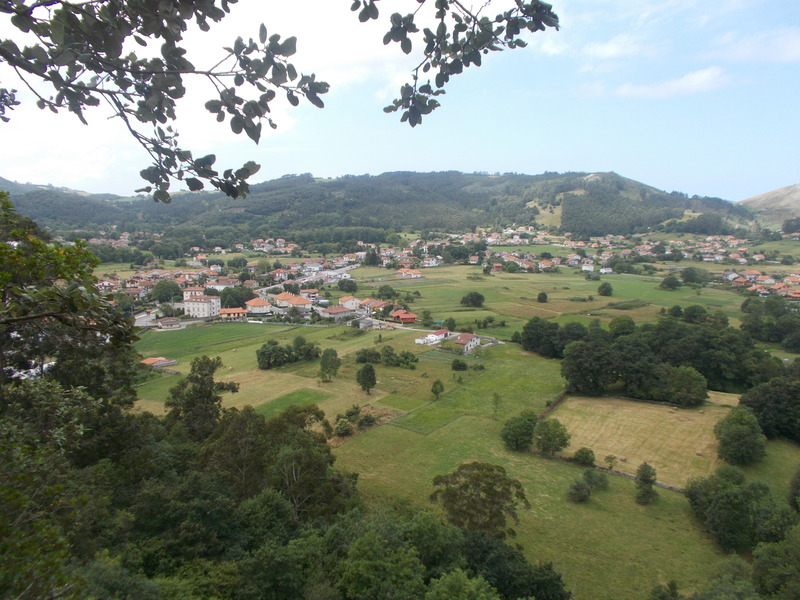 I then decided to take the trail to Arraiz, just as the sun decided to come out. A beautiful walk, but then the part after Erreztaleku (Garraztaleku) was the steepest drop down I’ve ever encountered. I went slowly and a lot of sideways walking and nearly fell three times. If I ever encounter a yellow arrow going this way, I’m stopping for the day! The red and white GR markers just aren’t as conspicuous as the yellow arrows, but I think I found my way as I did eventually find Arraiz. I decided to go back down the road hoping to save time, but I think I added time. Elegí visitar “Ganeta”, que está a lado de Pagasarri aunque es un poco más alto. No había más que un torre de comunicación. Elegí seguir un sendero a Arraiz, y el sol elegió aparacer por fin. Un paseo bonito, pero la parte después de Erreztaleku tenía más inclino que he visto en la vida. Fui despacio con mucho cuidado y casí me caí tres veces. Si encuentro una flecha amarilla en el futuro en un monte parecido, ¡pararé por el día seguro! Las señales rojiblancas de los Gran Recorridos no son tan obvios como las flechas amarillas, pero creo que al final encontré el camino correcto. Decidí seguir la carretera para ahorrar tiempo, pero creo que tardé más tiempo al final. It was a great Sunday afternoon walk that kept my leg muscles in shape for whenever I can take up the Camino again. And it inspired a new goal for myself, this blog and my last year in Bilbao. Era una tarde de domingo genial para mantener los musculos de pierna en forma para cuando empiece el Camino otra vez. E inspiró un reto nuevo, este blog y el último año en Bilbao. How many important Basque (and surrounding areas) mountains can I climb this year? What mountains do you recommend I go to? I know Amboto, a return to Gorbeia and Jata are a few. (I am considering the Camino a conquista of Bizkargi, for the record!) What more are there? ¿Cúantos montes vascos (y alrededores) puedo subir durante este año? ¿Qué montes me recomendáis? Sé que he de ir a Amboto, Jata y volver a Gorbeia. (Considero el Camino del Norte que pasa por Bizkargi como un monte conquistado, por cierto.) ¿Qué más hay? After deciding to move to another country, you have to find a place to live. After the rainiest winter ever, I am about to start the look for a new place to live in Bilbao, munduko hiriburua da (Capital of the World in Euskera de Bizkaia, surely something more rude in Euskera de Gipuzkoa) due to the amount of “humedad” (humidity) that my current place has. Después de decidir trasladarse a otro país, hay que encontrar un sitio para vivir. Después del invierno más lluvioso de historia (exagerando), ya estoy a punto de comenzar otra busqueda de un sitio para vivir en Bilbao, munduko hiriburua da (Capital del mundo en Euskera de Bizkaia, seguramente algo más maleducado en Euskera de Gipuzkoa) dado de la humedad en mi piso durante el año pasado. This frightens me, considering some of the places I’ve lived in Spain. Usually it’s been more a problem with the flatmates, but a lot of times it (like right now) has been a problem with the actual flat. (For Americans (and Canadians? ), flat is “apartment”, but my brain translates “piso” to “flat”, not “apartment”). Eso me asusto, tomando en consideración algunos de los pisos donde he vivido en España. Suele ser más un problema con los compañeros de piso que el piso, pero también muchas veces ha sido el piso. The first place I lived was a recently renovated piso in the heart of Linares. It was a good walking distance from the school, and it had nice wooden floors and new appliances. However, they were unable to install Internet in the place due to the lack of a phone line. (This was 2008-2009). There was also a round sink whi ch created problems whenever we tried to wash the dishes. There was also no heat, typical of Andalucía. Why install heat for the three days of “frío” that they have a year? Also, about halfway through the year, we discovered mold in my roommate’s room. El primer piso donde viví era un piso “recién renovado en el corazón de Linares. Estaba cerca al colegio donde trabajaba, y tenía suelos de madera y todo del piso era nuevo. Sin embargo, no podían instalar internet en el piso dado que no había una línea de teléfono. (Este era 2008-2009). También había un fregadero circular que causó muchos problemas cuando intentabamos fregar los platos. Tampoco había calefacción, que es típico de Andalucía. ¿Por qué hace falta calefacción cuando solo hay tres días de “frío” durante el año? (Recuerda que soy de Ohio, que hace más frío que Burgos.) Además, en febrero, descrubimos un hongo en el cuarto de mi compañera de piso. The first time around in Madrid, it was a problem with the flatmates. The kitchen was very small, and my roommates were big jerks who would find Monica Gellar’s apartment on Friends filthy. I made the mistake of living far away from the centro (about 25 minutes on the metro). And it was a horrible commute to my job that year. And then the bathroom sort of exploded, which jerkfaces blamed entirely on me. I was so glad to leave that place. And the one never gave me back my English as a Second Language book either! Mi primera vez viviendo en Madrid, el problema era con los compañeros de piso. La cocina era muy pequeña, y los compañeros de pisos eran gilipollas que pensarían que el piso de Mónica Gellar de Friends era sucio. Hice el error de vivir lejos del centro (unos 25 minutos en el metro). También tenía mala comunicación con mi trabajo. Y después, el baño desarrolló muchos problemas, y los gilipollas me echaron la culpa. Que feliz estaba marcharme de este piso. Encima, presté un libro de aprender inglés a uno de los compañeros que nunca me devolví. Learning from that experience, when I moved to Valencia, I wanted things to be perfect. The temporary flat was okay, but lacking a shower curtain which I bought. No major problems until I was kicked out two days before the end of the month due to one of the people returning from holidays early. I then took a piso from an ad on Couchsurfing. Aprendí de esta experencia cuando me trasladé a Valencia. Quería que las cosas sean perfectas. El piso temporal no estaba mal, pero faltó una curtina de la ducha que compré yo. No había problemas hasta que me echaron dos días antes del final del mes porque uno se volvió de sus vacaciones pronto. Tenía que elegir un piso de un anuncio de Couchsurfing. Then it was back to Madrid. The first year was another old place, but I had a nice big room with a big bed and what, at first, was two calm roommates. The one moved in with his boyfriend, and the new one was also nice and probably the one I’ve gotten along with best due to our interests in television shows and film. When he moved out, the problems began. A Brasilian party boy moved in, and they decided to convert the study into a fourth bedroom to pay “lower rent”. Like 10 Euros less a month, and I had to pay for the renovation of this room and a new refrigerator. I found a new place to live after two months of this hell where they made me feel like the odd one out. I just felt like an intruder in my own house. Después, volví a vivir en Madrid. El primer año era otro piso antiguo, pero tenía una habitación grande con una cama grande y, al principio, dos compañeros tranquilos. Uno se fue a vivir con su novio, y el nuevo también era majo y probablemente tenía mejor rollo con él que cualquier otro compañero de piso dado de nuestro interes en cine y series. Cuando se fue para vivir con sus padres, los problemas empezaron. Un brasileño fiestero entró, y sin consultarme, decidieron convertir el estudio en una cuatra habitación para pagar menos en aquiler. Como 10€ menos al mes. Además, tenía que pagar para un frigorífico nuevo y para renovar el estudio. Encontré otro piso después de dos meses de aguantar este infierno donde me sentí como un bicho raro. Siempre me sentí como si fuera un intruso en mi propia casa. I moved in when a gay couple who were nice people, but I felt weird living with a couple. My schedule was so weird, but I still had my fave gym and my Catalán classes within walking distance. The place was a bit small, and the washing machine kept breaking down. However, Pedro Almodóvar and the late Duchess of Alba lived in the same barrio. It was also a ground floor flat, which meant having the caretaker enter the patio every single day. I also didn’t quite have room for all my stuff, which meant a very messy room. Después, viví con una pareja gay quien eran super majos, pero me sentí un poco raro viviendo con una pareja. Mi horario era complicado, pero todavía viví cerca a mi gimnasio y mis clases de catalán. El piso era pequeño, y la lavadora siempre se rompió. Pero mis vecinos incluyeron Pedro Almódovar y la Duquesa de Alba (D.E.P.) Otro problema fue el hecho que estaba en el piso bajo, que significaba que el portero siempre entró el patio todos los días a las 8 para fregar y limpiar. My current flat is in a decent location, close to the Casco Viejo, Zubizuri and Moyua. The location is quite nice, and the German Shepherd is a bonus. But I’m not convinced by a room where we can’t turn on the heat in the winter (this isn’t Andalucía. Bilbao, sí, hace frío y LLUVIA), the dampness, the bed that broke, the lack of writing space, no television, and oh, crap internet. Ahora vivo en un piso centrico, cerca del Casco Viejo, el Zubizuri y Moyua. El hecho que viene con un pastor aleman es genial. Pero no me convence de un piso donde no podemos encender la calefacción durante el invierno. (No es Andalucía. Bilbao, yes, has cold and rainy winters), la humedad, la cama rota, la falta de espacio de escribir, la falta de televisón, y internet de mierda. It’s time to move again in September (as I get along with my flatmate, I know that there’ll be more people looking then and more places for me to choose from). I need a non-smoking gay-friendly flatmate (who respects INFP style introverts like myself), affordable housing, heat, internet, television, a washing machine that won’t break down, an adequate number of cooking utensils and dishes, a balcony of some sort would be nice. If it came with a dog, perfect! I’d love to live in the Casco Viejo itself where I could just walk to work in 20 minutes or so next fall. Ya me toca trasladar a otro piso en septiembre (como tenemos buen rollo mi compañero de piso y yo, no quiero dejarle plantando y sé que habrá más gente buscando en septiembre y más pisos para elegir). Necesito un compañero que sea NO fumador, gay-friendly, quien respete los INFP introvertidos) y un piso que tenga un precio asquesible, calefacción, internet, una tele, una lavadora que no se rompa cada dos por tres, un numéro adecuado de cosas para cocinar y platos, y un balcón si posible. Si viene con un perro, ¡perfecto! Me encantaría vivir en el Casco Viejo donde podría caminar a trabajo en unos 20 minutos en el otoño. Is that too much to ask for? ¿Es demasiado pedir? Camino de Santiago (Camino del Norte) Etapa 11: Castro Urdiales-Laredo. I have a confession to make. I took a shortcut today. Granted, the guidebook (which I want to throw out because it only has the shortcuts) told me to take it, but I still feel guilty and may have to return to do the Magdalena part another day. For now…onward to Santiago poco a poco. The 11th day on the Camino got off to a rough start. I had originally planned on taking the 8:30 bus to Castro, but as I woke up on my own before 7, I rushed off to be at Termibus to get there in time…arrived at about 7:45…and waited. And waited. And waited. On Saturday, the first bus is at 8:00, but I would find out that as it was festival time in Castro, they had been having buses since 4:30 or so, and the 8:00 bus was very late. In fact, I boarded the 8:30 bus when it arrived at 8:17. The 8:00 bus arrived as the 8:30 bus was leaving. I’ve been to Castro a few times before, so I had a quick pintxo de tortilla and café con leche to get me going before having my credenciales stamped at the Oficina de Turismo. I found the yellow arrows, and at first I thought I was never going to get out of Castro. I did get to see my favourite rocky beach inlet and found a new beach. However, the Camino takes you through the town instead of by a gorgeous beach. I guess they hope people will buy stuff. The Camino goes by the bull ring and through a camping. I am glad I looked back as there were just as many beautiful views looking back as there were going forward. I know Anna Kendrick keeps singing “I will never look back” in my current anthem “I Can Do Better Than That” from The Last Five Years, but she is referring to life. As I passed a few small villages (Allendelagua, Cerdigo) without any bars for a second café con leche, I took the time to enjoy the beautiful coastal scenery around me along with the beautiful mountains. I also enjoyed the village and the barking dogs. I didn’t go by the albergue in Islares despite it advertising “beach” in English. I’ve heard a lot of bad reviews about it, by the way. I caught up to a group of about 20 Spanish high school students on Camino excursion, and I walked quickly to get around them. I teach Spanish teens and am on summer break! ¡Por favor! I stopped at the (expensive) Islares camping bar to allow them to get ahead of me. 1,50€ for a café con leche con hielo (iced café con leche), 1,15 for a can of Aquarius de Naranja (orange European sports drink). Meh. And then came across a group of non-pilgrims…10 or so! At this part of the Camino, I had to walk along the N-638 (I believe) road, which was quite busy. I wanted to spend some time at the beach near Islares (Playa Arenillas) as it was amazingly beautiful. Almost as spectacular as Urdaibai in Vizcaya. I came across a solitary peregrino like myself at the junction of the shortcut and the traditional Camino through Magdalena at El Pontarrón de Guriezo. He opted for Magdalena, and I opted for the shortcut as I wanted to ensure I had a bus back to Bilbao. We wished each other well and I stopped for a tostada con jamón and second Aquarius de naranja for an early lunch (I eat at Spanish times). I knew it would be a while before reaching another place with food. The road was hell. A ton of cars whizzing past me at top speed and very little shoulder space (still better than that bidegorri). I walked on grass when possible, but it wasn’t very possible. (I think I just broke a grammar rule with “very”.) At least there was a spectacular mirador (lookout) de Antonio Ruiz offering a magnificent view of Lienzo. Two kilometres later, I found the Camino Camino again and was grateful. It goes through some people’s yards around Lienzo and offering more spectacular views and goes past some ruins of the San Julian ermita. Every time I looked back I saw a more impressive view. Then I got to the top of the hill and saw Laredo in the distance looking as beautiful as Hawaii. I also found a perfect walking stick today near Lienzo. I don’t usually use one, but I had fun with this one. I left it outside of Laredo for someone else to encounter. Laredo has a few rutas de senderismo (hiking/trekking paths) and someone may be able to use it. I had been to Laredo on a cloudy day in November (Nov. 1, 2013 to be exact), and I hadn’t been too impressed. My first impressions were totally wrong. I fell in love with the city today due to its Parte vieja. The beach is nice, and after arriving and having my crendenciales stamped at the Oficina de turismo, went to wade in the cool sea. I had a great day of soul-searching and am ready for whatever life is going to throw my way. Kilometres walked: 25 supposedly. It felt like more.